There’s something to be said for raw, introspective honesty. It not only provides relief to the one sharing, but it also lets others know they aren’t the only ones adjusting to difficult life issues. On his latest album, A Strange Journey Into the Unimaginable, underground rapper Murs bares his soul with some of his most candid, direct lyrics yet. Murs, a native of south central Los Angeles, has released nearly two dozen albums, but none of them belt out the trials and tribulations more poignantly than this one. Yet, he still manages to weave some lighter-hearted rhymes in-between his retrospections, showing fans that regardless of the darkness faced, one can still find reasons to smile beyond the pain. In his first track, “The Unimaginable,” Murs strips himself down to the bone, providing a glimpse into his previously unimaginable life journey dealing with a painful divorce, a 12-month separation from his son, and the loss of his stillborn second son and a personal friend: I cried a whole lot when I filed for divorce, and when a homie got shot /…when I was separated from my son, I cried for almost a year /..a baby boy…he was born without a heartbeat. The next offering, “Melancholy,” is a more upbeat tune that, while continuing its focus on struggle, admits that Murs’ overwhelming grief has morphed into a lingering pensiveness: Hi everyone. My name is Murs, and uh…yeah. I’ve had a rough couple of years…I’m at this point now where I’m not too high and not too low. I’m just here. While his experiences so far were something he most likely couldn’t have imagined, Murs has turned his tragedies into therapeutic rhymes. 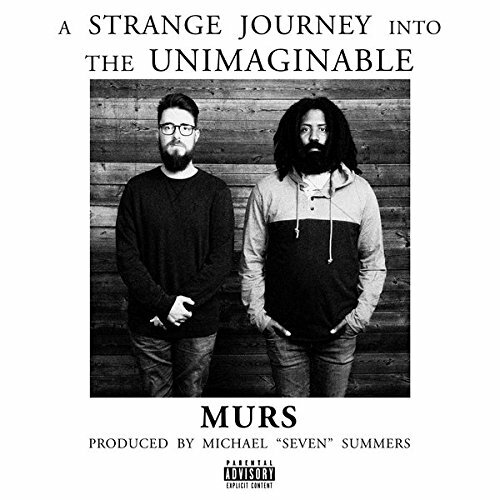 Spinning his tales so that everyone knows they aren’t alone, Murs has managed to turn the unimaginable into a tale of perseverance, giving all of his listeners hope for their own journey through life. This entry was posted in Rap and Hip-Hop and tagged 2018, 2018 music, 2018 music review, A Strange Journey Into the Unimaginable, Amy Aiyegbusi, CD review, Murs, rap, Strange Music by aaamc. Bookmark the permalink.